In 1946 Jonty and Mim Wright started The Cake Shop Bakery after relocating from the North-East, since then our small, family run business has prospered through years of dedication to our craft. Whether you want a single gingerbread man or 30,000 we can meet your expectations. Now with a dedicated modern bakery facility we are more prepared than ever to produce great bread and bakes - everyday. Our vision is to create a restaurant and café with a fun vibe celebrating food cooked with fire - the best bread, coffee and wood-fired pizzas as well as burgers and BBQ food. We’re so excited to be working with YouTuber and TV star, DJ BBQ, aka Christian Stevenson. We’ll be open all day serving great coffee and pastries for breakfast or a birthday bash with friends and music until the early hours! Our Kickstarter campaign goes live on April 4th and we have dozens of exciting rewards as thanks to anyone who invests from vouchers for the Cake Shop bakery to an exclusive baking lesson. We make bread and cakes for retailers and hospitality businesses in Suffolk and beyond. 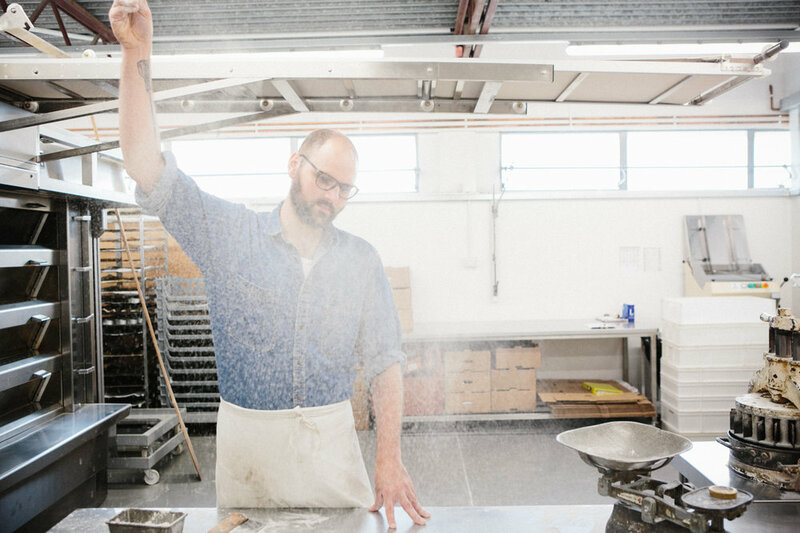 Our new bakery at Bentwaters Business Park opened in 2017 to keep up with growing demand. Contact us for more information. In 2016 we decided to start roasting our own coffee to serve in our cafe. We source green coffee from around the World using the 'Direct Trade' model which sees the farmer who grows the coffee get the best possible deal for the best product. Our coffee is as ethically excellent as it is...well...excellent.